“Reiki is an art of hand healing originated in Japan by Mikao Usui（臼井甕男1865-1926）in 1922. The original term for this is心身改善臼井氣療法Shin Shin Kaizen Usui Reiki Ryoho or “Usui Reiki Therapy for Improving Body and Mind” Reiki is an energy healing or natural therapy carried out by placing hands on the body. By doing so, a therapist receives Reiki energy from the Universe and transmits the energy onto the receiver. This miraculous energy awakens natural healing ability of a person who receives it. Reiki also works not only for physical but also for psychological health. For the past decades, it has been very popular in the World, especially in the Western countries, in Europe and the US. It has been recognized as one important effective alternative medicine in some countries. Unlike in Europe or the US, Japan, the homeland of Reiki, has seen a completely different situation. Recently Reiki has slowly been known among people but the absolute majority of Japanese people still don’t know about this wonderful non-religious, energy healing, originated in Japan. In pre-war time in Japan, Reiki became very popular and was practiced by over one million people. After World War 2, because of the connection to the Japanese Navy, Usui Reiki Ryoho Gakkai, (the organization that Usui sensei established) had to stop their outstanding activities, even though people kept practicing Reiki quietly at home. With the dramatic change of the ideologies in post-war Japan, the people gradually had lost interest and belief in this kind of healing arts. Recently, with raising popularity in the West, Reiki has started to be acknowledged slowly here in Japan, too. However, mainstream of Reiki taught in Japan is “Western Reiki”- Reiki, which was re-introduced from the West. It has Western influence in the practice of Reiki. In many Reiki teachings of Western lineage in Japan, some important essence of original Reiki seems to have disappeared. People had been trying to find original teachings, which have no Western influence. In the late 1990s, Chiyoko Yamaguchi, a Japanese lady who learned Reiki from Usui sensei’s direct disciple, Chujiro Hayashi in 1938, came to light. 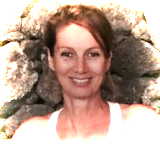 She was initiated to Reiki at the age of 17. After that, she practiced Reiki throughout her life until she passed away in 2003. Her being was so precious that a lot of people in Reiki community requested her to teach what she had learned from Hayashi. She started teaching with her son Tadao Yamaguchi in 1999 with the name Jikiden Reiki (直傳靈氣)　”Jikiden” means “directly teaching” (of Chujiro Hayashi).